Our new Swim Spa designs combine our exclusive Current-Lift Technology with the most innovative spa massage techniques ever developed. 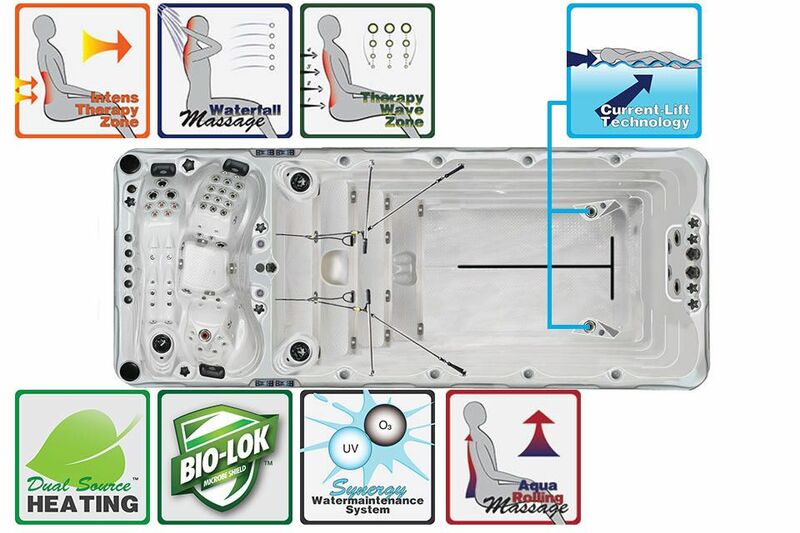 The Energy and Spirit Swim Spas combine the innovative Current-Lift technology with a large variety of innovative massage experiences. 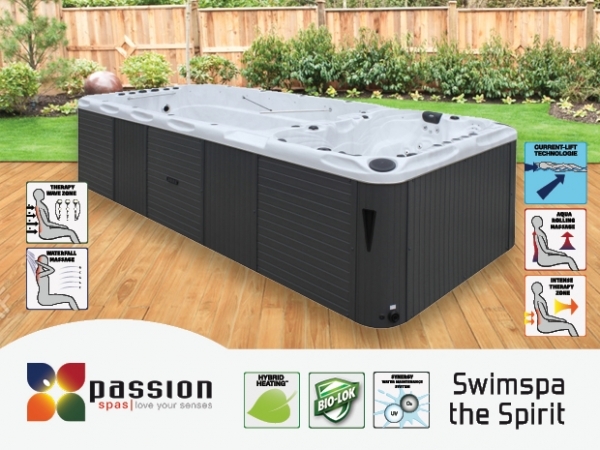 Passion Spas combines all of our unique massage therapy innovations into a single swim spa.Aqua Rolling Massage™, Intense Therapy Zone™ and Therapy Wave Zone™ are all included in the Spirit and Energy Swim Spas, giving you a full menu of therapy choices. 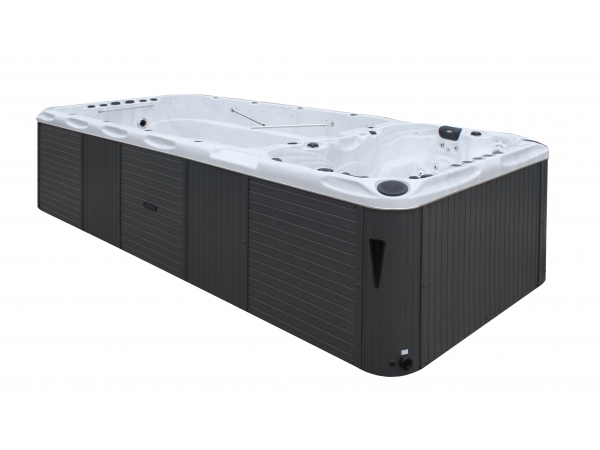 Because the swim and spa sections are separate, you can vary the temperatures in the two units, experiencing a lower temperature workout in the swim lane before soothing your tired muscles in the hot water of the spa. 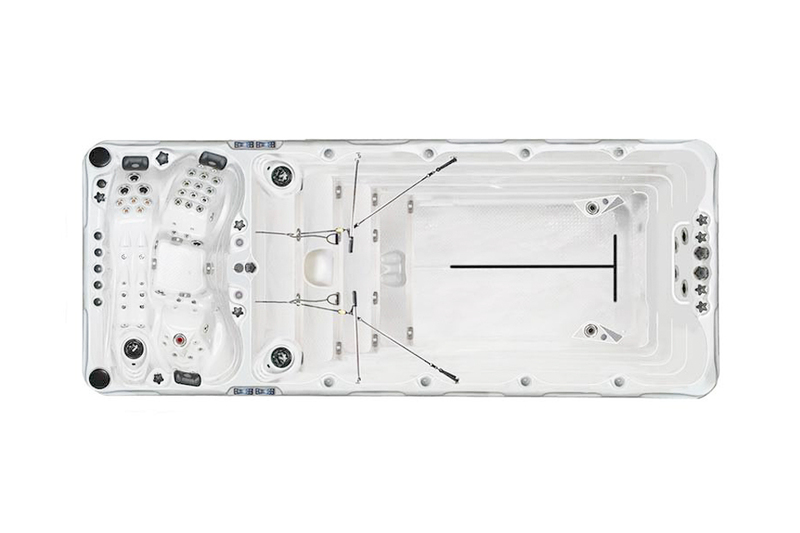 The Dual Zone heating systems in the Spirit and Energy Swim Spas allow you to enjoy the best of both worlds â€“ swimming and relaxing - in a single swim spa!